support up to 24x 2.5″ SFF HDDs (SAS HDDs ONLY)All MSA 1040 models come STANDARD with 64 snapshots and Volume Copy software. 512 Snapshot option is also available for additional cost. Standard Warranty : Three-year limited warranty, parts exchange Next Business day delivery. Enclosures, Hard drives, and Options for the MSA 1040 carry their own warranty. Entry consolidation and virtualization initiatives are now well in your budgetary reach. 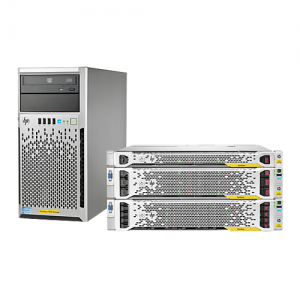 The HPE MSA 1040 Storage offers many of the HPE MSA 2040 features but at a substantially lower entry price points. HPE ProLiant and BladeSystems administrators as well as IT generalists will find storage management tasks simple and intuitive with MSA. The MSA 1040 arrays leverage a new 4th-generation controller architecture with a new processor, 2-host ports and 4 GB cache per controller. Take advantage of the latest hard drives advances by choosing the form factor and technology which best meet your application and budget requirements. Unlike many competing arrays, the MSA 1040 ships standard with intuitive management tools and powerful data services such as Snapshots and Volume Copy for increased data protection. The integrated setup and management Web-based Interface (WBI) makes MSA easy to manage for HPE ProLiant/BladeSystems administrators and IT generalists. 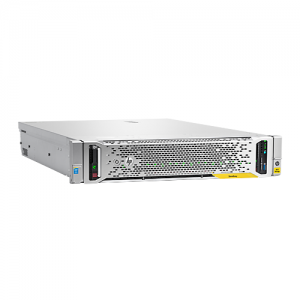 Leverage the latest Large or Small Form Factor hard disk drives –choice of High-performance Enterprise-class SAS or high-capacity SAS Midline drives based on application, performance and budget requirements. On-board management tools augment OS and hypervisor views navigate firmware upgrades, monitor array performance with ease locally or remotely. Dual controller configurations are standard and available at single controller price points. 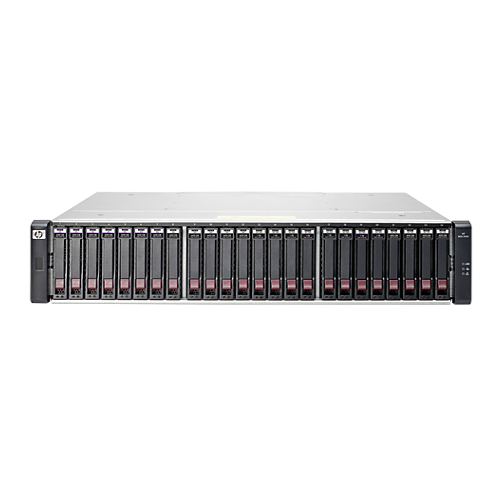 More capacity/performance within your budget. Latest MSA technology at lower cost. 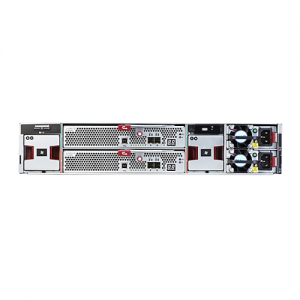 The MSA 1040 leverages the 4th generation MSA architecture, 2-port controllers with 4 GB Cache each, faster processor and a performance optimized I/O engine. Increased performance translates into better application response times and facilitates entry consolidation and virtualization initiatives. Add Disk Enclosures as needed to boost capacity and spindle count. Most low-cost entry arrays don’t allow expansion. Data-in-Place upgrades eliminate time-consuming and risky data migrations. MSA 1040 allow simple controller swap to flagship MSA 2040. Other value-priced arrays force you to compromise.